Oh mah gosh, peoples. I dont think I can say anything without giving anything away from the first book or this one, but I have to say that if you love Dystopian and havent read this series yet, you do not know Dystopian. Ill mix in the first book review here a bit too because I dont think Ive written a proper one for that..o.O But yeah *clears throat* Ahem. My Rating: ★ ★ ★ ★ ★ Yaayyyy!! Current Rating on Goodreads: 4.23! 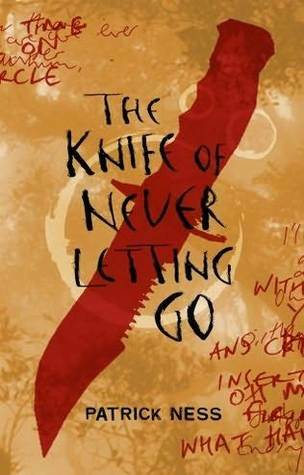 First book: The Knife of Never Letting Go. Our story is told from Todd Hewitt's PoV. Oh just a sidenote, when you do actually read it, there will be spelling mistakes like 'tho' for 'though', 'stayshun' for 'station' and so on. THESE ARE NOT TYPOS XDD Theyre intentional. Dude I spent like 10minutes at first..searching through Google to see if I was the only one with a wacky copy *giggles* This is like that because Todd cant read or write. So dont blame him D: You'll get used to the writing soon enough! And will appreciate it because it is one of the most unique writing styles I have ever seen. So distinguishable and realistic. It's literally like youre RIGHT THERE :O Scarewy. The story itself is reaaaally cooool. I wont go into much detail because its much bettah if YOU actually read it, but its always changing. Loads of plot twists, action, adventure, suspense, ect. Todd also meets our lovely Viola during his journey, and little does he know she'll become one of the most important people in his life later on. And Ive gotta say that Viola is just amazing O.O She's tough, strong, and independent. If she thinks something is wrong, she actually DOES something about it. *beams* Todd was a little most disappointing in the second book, but I can understand him and why he acted like that. ..well a little anyways..
Oh btw, did I mention the second book is in dual PoV? The first one isnt, but the second one is, and its so much more exciting, seeing through both of them!! They're so different, yet the same. Lots of misunderstandings too, in the second book, but they trust in each other and come back together to fight the common enemy, which is rare in lots of books. Usually, differences tear people apart permanently which is REALLY frustratin so read *tears hair* The first parts in the second book were also a little laggy for me, personally, but it picked up really fast and BAM. So yeah. It won't disappoint youuuuu!! Bottom Line: Amazing dystopian series with such an unique writing style and story concept with loveable characters and such hateable (?) antagonists that make you want to go inside the book and shoot them for all the trouble theyre causing in a frighteningly believable world which will haunt you and make you long for the next one and next one and next one and curse Patrick Ness for only writing 3 books that everyone MUST read. 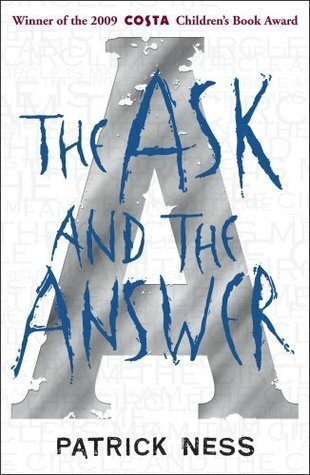 One of the best sequel books I have read, and a good way to start off new revelations to an amazing series.